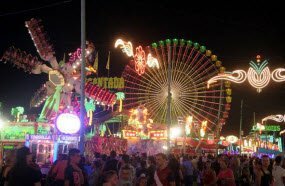 The Malaga Fair celebrated annually, is a massive one week carnival which commemorates the re capture of the city from the Muslims in 1487. The one week street carnival starts with firework, continues with endless music and flamenco dance performances, feasts with huge amounts of drink and food. During the Feria de Malaga, tourists have the chance to visit bullfights each night, if you are a fan of this old Spanish tradition. For visitors who travel to Malaga in August, the Feria de Malaga makes a great insight into the traditional Spanish lifestyle. Spain is a popular tourist destination for those who love the Mediterranean heated atmosphere and hot weather. What about an unforgettable summer, while enjoying with your friends at the popular WeekendBeach Festival ? 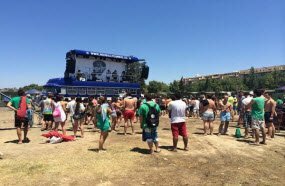 The festival has it all as it is organized on the Poniente Beach, in Torre del Mar. 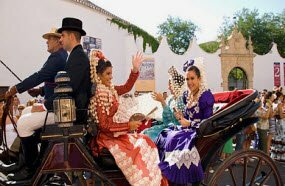 Held traditionally in the first week of September, corridas are one of the main events of Ronda. The festival is a great entertainment for tourists who want to discover the Spanish traditions and culture by attending the main corridas that instantly takes into Spain. Celebrated in June 23, the 'Noche De San Juan'is based on the Spanish belief that in this night gods become visible. 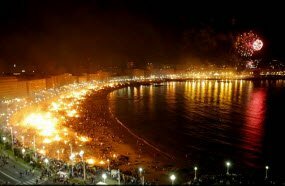 In this night of June, locals along with visitors celebrate on the beaches, build bonfires and jump over them. The belief is that jumping over the bonfires will purify people from their sins. It is a tradition that people cook sardines over the flames as well as to write wishes on a piece of paper and then to throw into the fire, in order the wish come true.